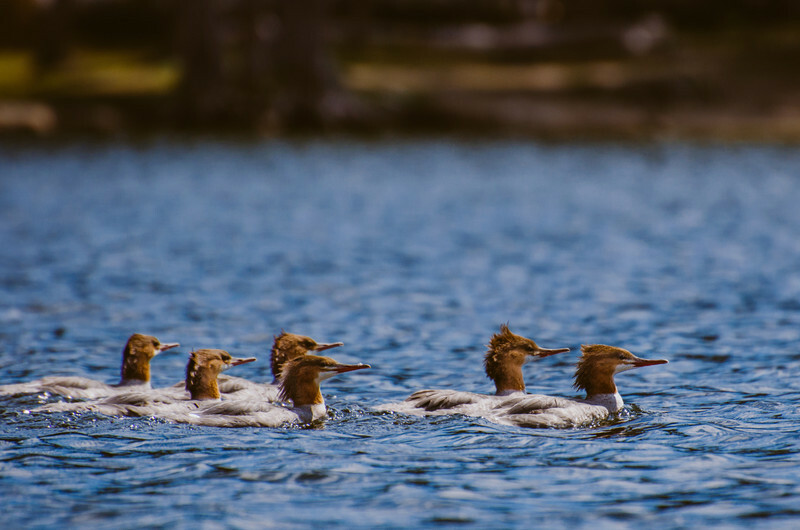 And while on the subject of birds at Wrights Lake, here's a fun shot of merganser ducks -- these are common mergansers and all females. The photo was taken from a kayak using my Nikon D5100 and Nikon 70-300mm lens. Shot in RAW and processed in Lightroom using VSCO slide film presets. In this case, I like the narrow depth-of-field as it helps focus on the ducks. Buy a print here! SmugMug does a nice job through Bay Photo and prints are very modestly priced. I pump any money I make back into my photography (read: the Nikon D7100 I think I want to buy). Bonus photo! Well, photo that I didn't quite nail but the lighting sure is nice!